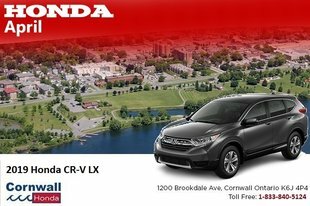 The special offers at Cornwall Honda are here to help you get behind the wheel of your next vehicle. Our special offers are constantly changing and are updated regularly to reflect the latest manufacturer offers and rebates as well as our most recent in-house discounts. 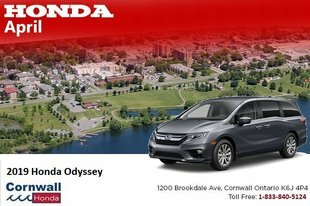 With Cornwall Honda’s special offers, you’ll be able to get you into your dream vehicle without breaking the bank. Whether you’re in the market for a brand new Honda Civic sedan or a Honda CR-V crossover, our special offers will help make your next vehicle more affordable. 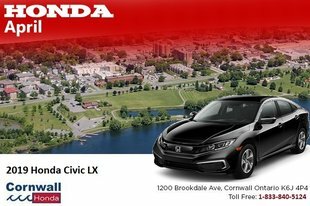 Not only are our special offers available on a wide range of new Honda vehicles, they’re also available on our Honda certified pre-owned vehicles. 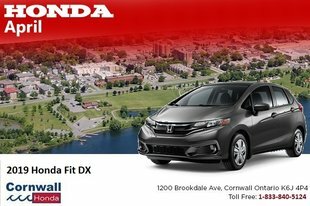 At Cornwall Honda, we simplify the purchasing process for you. 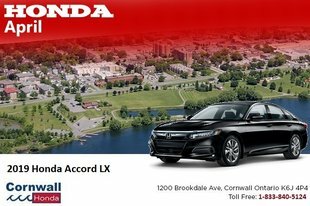 The special offers from Cornwall Honda can also help you save on after-sales services such as detailing and maintenance. 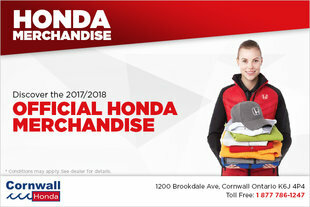 With our in-house offers and seasonal discounts, Cornwall Honda is your wallet’s best friend! 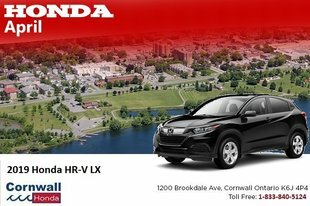 To find out more, visit Cornwall Honda today to see how our special offers will give you more bang for your buck.